So, you want to send Fluffy on her first flight? We're often asked whether you can travel with your pet on a Kulula flight. Pets can travel with Kulula in a special section of the plane (pet class) with the same cabin pressure & temperature as human passengers enjoy (ie not where your bags are stowed). Your pet must travel in a suitable container, with enough space for the pet to turn around normally while standing, to sit and to lie in a natural position. The correct dimensions may be determined by measuring the distance from the tip of the nose to the root of the tail, plus half the elbow to ground measure. Ensure that you have all the correct documents for your pet to travel - permits & certificates - you will be asked to produce the documents. Guide dogs assisting the visually-impaired may fly for free, so long as the seats next to the passenger can still be used. 7 April 2015: From the 4th of May Kulula travellers will no longer be able to drop their pets off at the check-in desk at the airport. You can still request that your pet travel on the same Kulula flight as you, but the process has changed. You need to arrange your pet's flight at least 48 hours prior to departure with BidAir Pet Lounges at 0800 22 1139 or email animals@bidaircargo.com. You will also need to arrange your pet's drop off at the BidAir Pet Lounge in either Cape Town or Joburg (PE's Pet Lounge is under construction). The changes are all in the best interest of your pets. You can find more information on Kulula's website. Only cats and dogs are allowed - no snakes, rats, mice, birds or humans in the pet class. For travel with pets other than cats and dogs, we suggest you contact Pet Travel Service at 011 230 4600. Container can either be hard plastic or metallic, but with adequate ventilation. The size of the container should allow the pet to lie down and turn as well. Pets must be older than 10 weeks. Get a vet's advice on whether you should ensure that your pet is suitably sedated for the flight, to lessen anxiety and stress. Do not try to buy extra baggage online to pay for fluffy - rather make your book your humna Kulula tickets via SouthAfrica.TO & then phone 0861-KULULA (585852), at least 72 hours bfore you fly to get a spot for Fluffy. 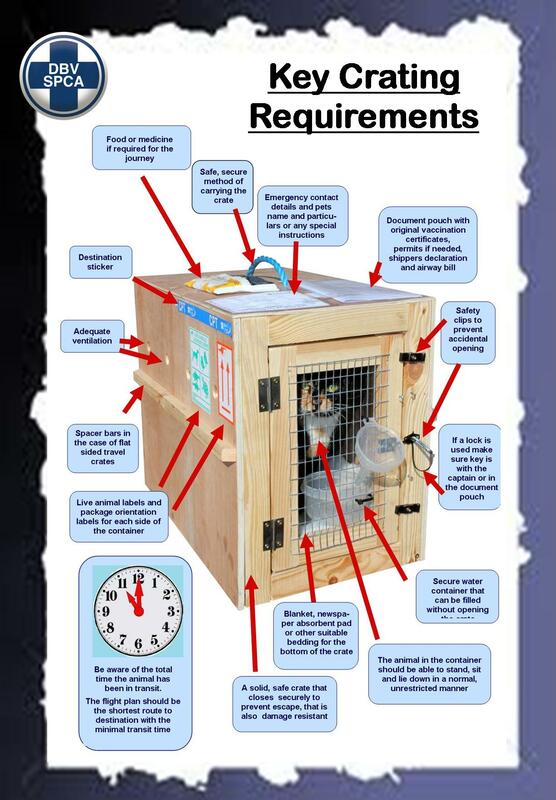 If Fluffy has been having some fun and is pregnant you'll need a vet's certification that there's no chance of birth occurring mid-flight (there are no Docs in Pet Class), she's 6 weeks or less into her gestation period, and is fit to fly. If Fluffy is nursing pups which are still suckling. Pups younger than ten weeks may not travel. For the pet's human partner, check Kulula specials to get a good deal.